Since 1979, we have been in the business of manufacturing custom load bearing equipment for law enforcement and military professionals. We invite you to view our select line of quality custom made gear. This offering represents our latest designs and fabric patterns. 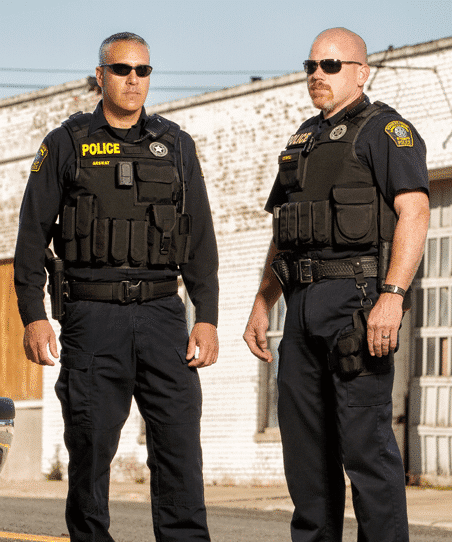 Our comprehensive range of vests allow carrying your equipment strategically organized, easily accessible and better secured with officer safety being our foremost priority. For over 30 years we have met the equipment needs of hundreds of state agencies, as well as at least a dozen federal enforcement entities nationwide. We remain a family owned and operated business with an uncompromised commitment to service and satisfaction. Please call if you have any questions or if we may be of service.